Be it ever so humble, there's no place like Facebook. The site is a major component of the digital connective tissue that holds a growing percentage of the world together. It is a mainstay of the mainstream, a placeholder for our lives when the real world becomes too much of a distraction. While you're waiting for a train, for the waitress to bring your dinner order, or for your daughter to finish soccer practice, there's always good ol' Facebook to get you through the idle moments. 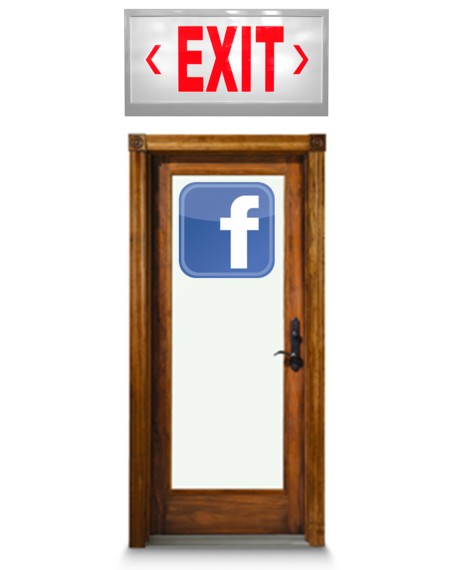 A departure from Facebook is not an earth-shattering event, although those leaving it feel that somehow they have to diminish the blow in advance. I am noticing more and more people notifying their networks that they have had it with the site, declaring their independence from its attention-sucking tentacles. In saying goodbye, some have been outwardly critical of the company, chiding Facebook for its more-than-occasional security breaches and misappropriation of sensitive information. Others feel that they could put their time to better use. For Jabez LeBret, it got to be too much. On July 22, 2014, Jabez used another social platform, LinkedIn, to announce that in one week he was quitting Facebook. His long-form post rings more like a post-mortem. His decree came as quite a surprise to me. Jabez is a colleague, a fellow social scientist, as digitally savvy an individual as I know. Our first-degree LinkedIn connection goes back to December 28, 2010, and we were friends on Facebook. I was curious as to what drove Jabez's thinking and what he has learned since (from) his departure. So we scheduled a Skype interview. At the time of submission, he is nearly two months removed from his split with Facebook. His account is deactivated, but his page remains intact. Jabez considers himself in "extended logout," keeping his 2,400+ Facebook friends in digital limbo. JD: What was behind your decision to leave Facebook? JL: I left not because I hated Facebook, but because I don't (can't) trust the information that was being presented to me as organic. I felt that I was not getting the true, unfiltered experience that I wanted. The information that I was seeing on my feed was what they (Facebook) wanted me to see. That, of course, is not new, but their admission that it was all an experiment made me very skeptical of the platform. I want the uninfluenced and unsponsored feed. JD: There is a ball-and-chain effect to Facebook. These days, we are tethered to our devices. We don't want to miss anything. Do you find this to be the case? JL: Six months prior to leaving, I asked myself, 'Am I really enjoying my time on Facebook?' Being on the site was a huge part of my digital identity, yet I questioned its role in my daily life. I was constantly using the mobile app and wondered if this was an effective way to be. Was it making me happy? Was I better off connecting to people I hadn't spoken to in decades? Couldn't I just make a call? I also think that people want to be part of something. They fear being an outsider and want to be in the immediacy of the moment. They feel that they have to stay plugged in, or else the world, as they know it, will come to an end. JD: What kind of responses did you receive from your friends? JL: Right. Here I am, this social media guy leaving Facebook. What's up with that? People were inspired. They wish they could take that step, too, but they don't feel like they can do it. They were happy that I was out there setting the example. JD: You are well known in the social media marketing arena. Now that you are one major platform down, what are you doing, if anything, to pick up the slack? JL: Facebook was taking up about one-half of my total time on social networking sites. I have since stepped up my engagement on LinkedIn and Twitter. I also have rediscovered the joy of email, texts, and real phone calls. Plus, I read my Kindle. JD: What have you learned during your absence? JL: Leaving has put me in touch with how social has intersected with our real world lives. It has made me stop and evaluate my daily use of digital media--how I log in, why I connect, and when is the right time to engage. I have to say that the move has been better for my business. I am getting more proficient at targeting sponsored material and am seeing a higher level of engagement. JD: To those who might be considering a similar departure, would weaning away from the site be more advantageous than an outright quit? JL: Perhaps. There is only one way to find out: Take a Facebook sabbatical. Unplug for, say, two weeks, a month, see what happens. Your account is not going to disappear. Your friends will not abandon you. If nothing else, it will help you realign your values and regain some balance and perspective. You might wind up actually appreciating these social platforms even more. JD: Tell me honestly, do you miss Facebook? JL: Truthfully, kinda. I miss it in that there are things that I would like to see from a business research standpoint, and that I am unable to keep tabs on certain friends. There have been times when I really wanted to log on, share a photo with those closest to me and get their take, but I suppressed the urge. I never really went directly to people's pages and used Facebook that way, anyway. For me, it was about watching what hit the stream. That, I do not miss. ♦ On Facebook, people will share to the extent that they feel comfortable. But when that experience is manipulated in some way, it can cause anxiety and consternation. I would like to believe that the feed that Facebook is providing me springs forth from my engaged community in real time. I did not sign up to be a lab rat in some social media double-blind study. ♦ Think before you like. A well-populated Facebook page offers an open portal into your buying persona. Once an opportunistic marketer learns which books you read, which movies you like, and which types of food you prefer, it is game on. Even if you shield your email address from view, you are likely to be bombarded with messages you did not sanction. If we cannot trust social networking sites to be responsible with our data, then the problem goes well beyond a few disgruntled people leaving the party. 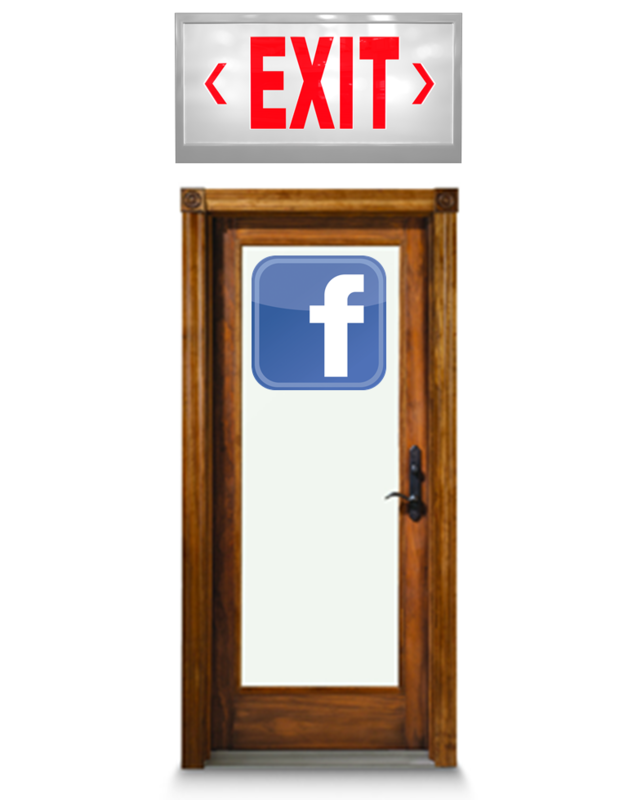 ♦ Many Facebook users are vexed by the lack of actual engagement. The content can get so banal and irritating at times. Making the conscious choice to eliminate that from daily life isn't such a bad call. In our hyper-connected world, there are those that simply want their space. ♦ I'm staying on Facebook...for now.